I love teaching, but I think I might love learning more. It’s even better when I can learn while teaching. A long time ago, I taught ballet and tap to four-year-olds. It was silly, chaotic and challenging. It required a lot of improvisation and a flexible lesson plan. It taught me so much about life (different ways to motivate and communicate with students) and prepared me more than anything else for parenting (distract other children when cleaning up pee). But before I start teaching, I want to learn a little bit more. Have you ever taken a quilting class? What did you like about the teacher? What did you dislike? What stuck with you about the class? What do you wish he/she had done? Thank you so much for your input. I’ve been preparing for class and reading a lot more than sewing this week (also cranky daylight-savings-adjusting children are exhausting), so I don’t have any quilt shots to share. 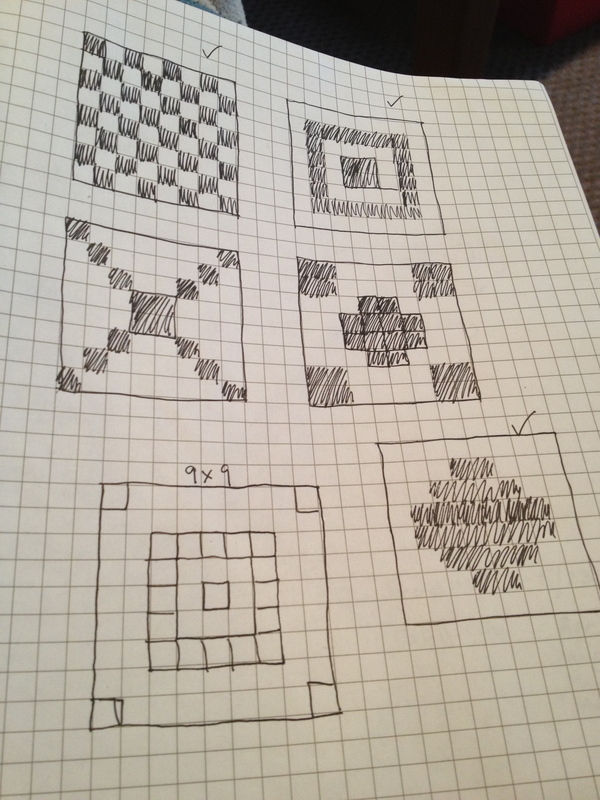 But here are some sketches I’ve been working on of designs for my beginners. I want to take your class!!!! I wish you were close enough! Let me know your questions– maybe I can email tutor you or send you links. Hope you and your boys are doing well.